WHAT: The University of Missouri and Columbia College are co-hosting the 38th Annual Meeting of the Mid-America Medieval Association (MAMA) where researchers will highlight studies on the medieval period in a global context. Sahar Amer, professor of Arabic and Islamic Studies at the University of Sydney, will deliver the plenary address, “Reading Medieval French Literature from a Global Perspective.” Topics include preservation of books and manuscripts, medieval practices in global trade, and the influence of global cultures on European science, medicine, fashion, food and art. 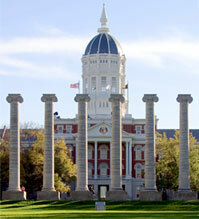 MAMA was founded in 1977 in collaboration with the University of Missouri – Kansas City and the University of Kansas. The conference was last hosted at MU in 2004. NOTE: For more information, please contact Lois Huneycutt at HuneycuttL@missouri.edu or visit: http://www.midamericamedievalassociation.org/. For a full conference schedule, visit: http://www.midamericamedievalassociation.org/MAMA-38-Final-Program.pdf. Registration for the conference, which includes a one-year membership in MAMA, is $25 for members and the public, $10 for students.